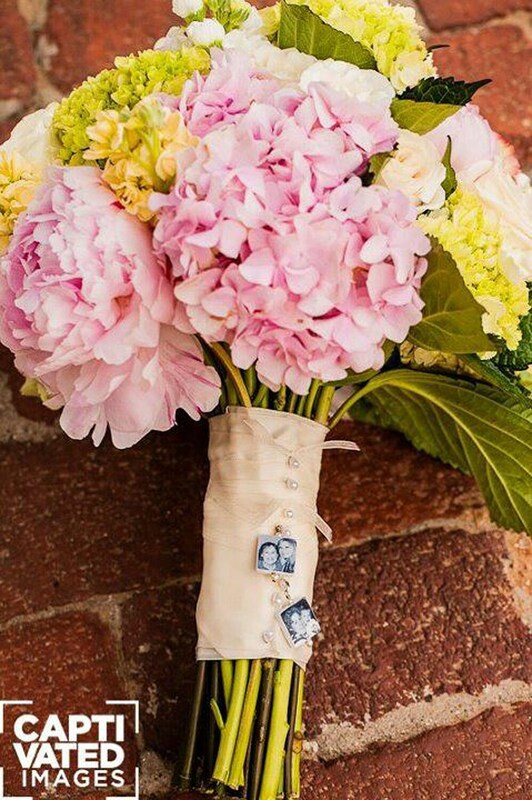 I love this gorgeous bouquet, and how she pinned her charms to it! 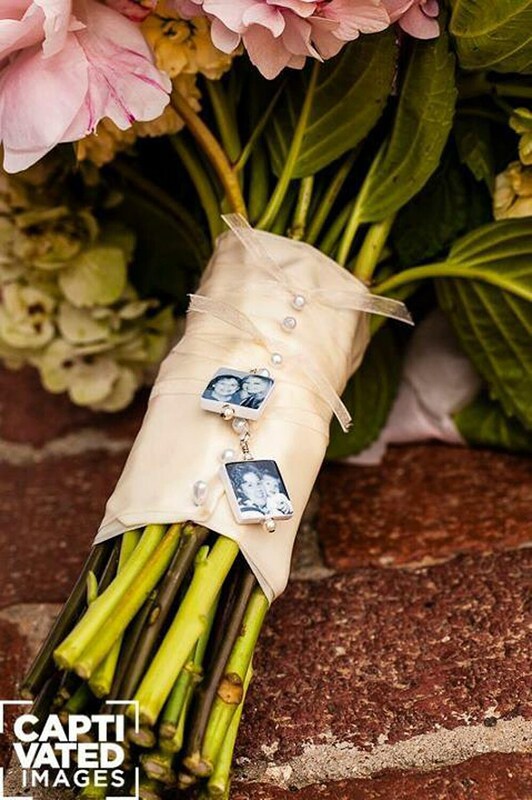 These are 2 Small, heirloom quality, memorial photo charms that are up to .75" X .75" in size. They are two-sided to accommodate a second image or writing on the back. Do you have a love note, a message, or a sentimental card you keep tucked away in a special place? If you can photograph it, I can bake it into a tile for you. 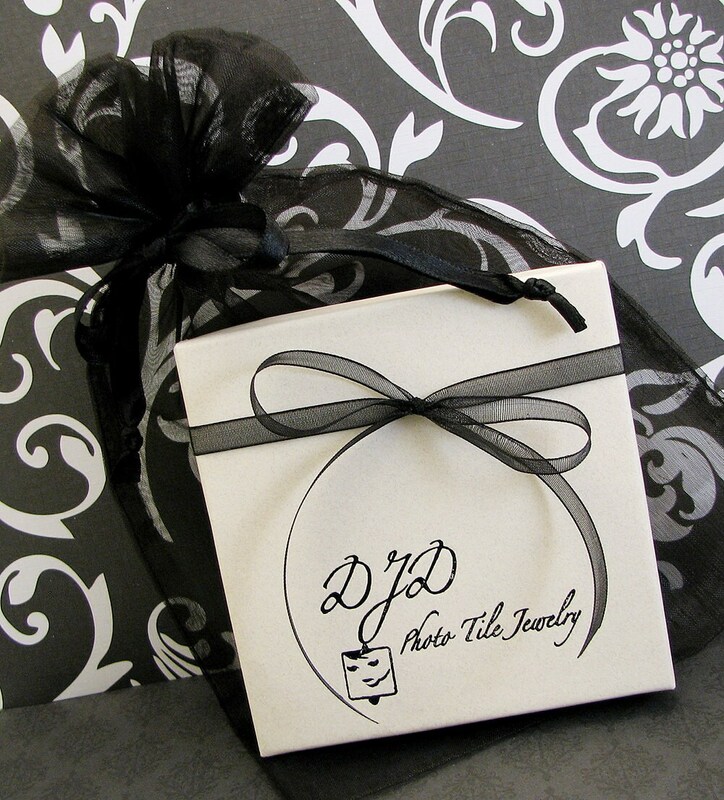 Each tile ordered comes on a sterling silver removable bail and a long strand of white or cream ribbon to wrap around or hang from your bridal bouquet. 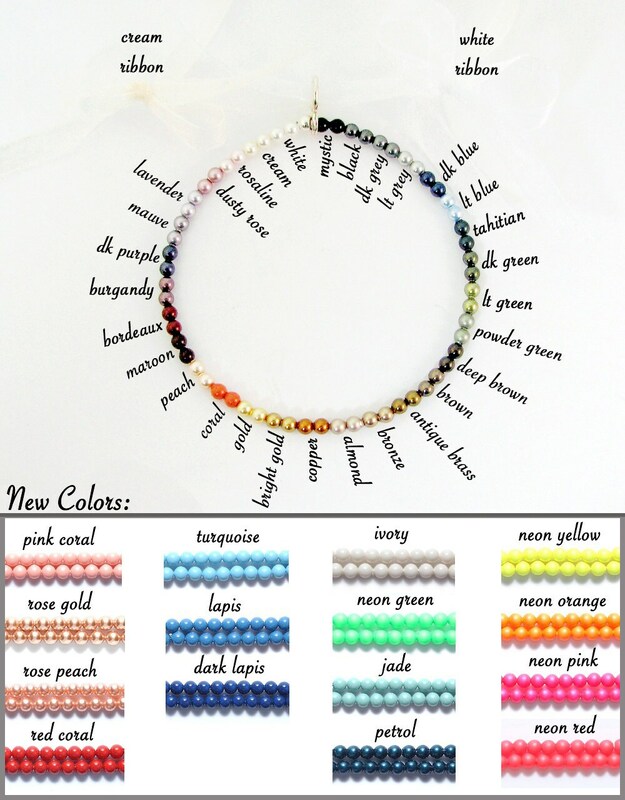 Choose from a variety of Swarovski crystal pearls to match your images or your wedding colors in place of the white ones shown. 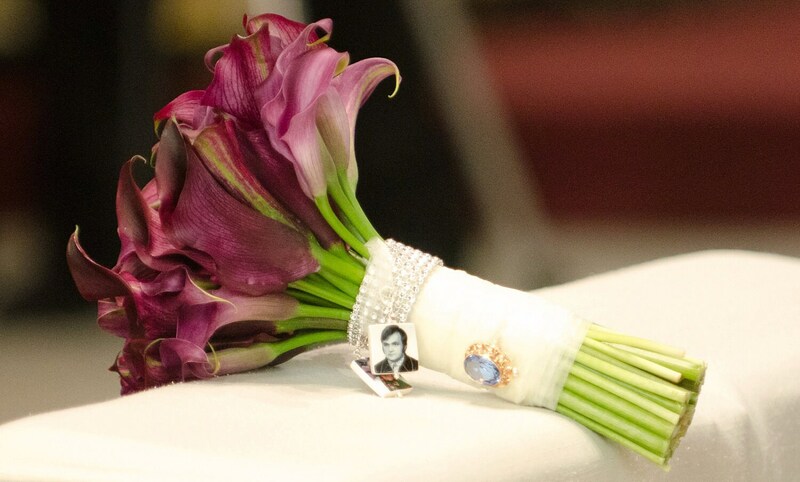 I couldn't think of a nicer way to remember your loved ones on your special day. After your ceremony you can wear your charm as a pendant on any necklace that has room for it. * This listing is for 2 charms and the price reflects a quantity discount. Need more? Email me at DJD [!at] Q.com for a quote. No order is too large. Once you place your order, e-mail your image(s) as an attachment to DJD [!at] Q.com. If you have a photograph instead of a digital image simply e-mail me for mailing instructions. Most tiles are two-sided, and you can use two images, or request a custom text iamge at no additional cost. Just include your desired text with your image. For special handwritten notes, messages, or cards, if you can photograph or scan it, I will do my best to preserve the important parts for you.